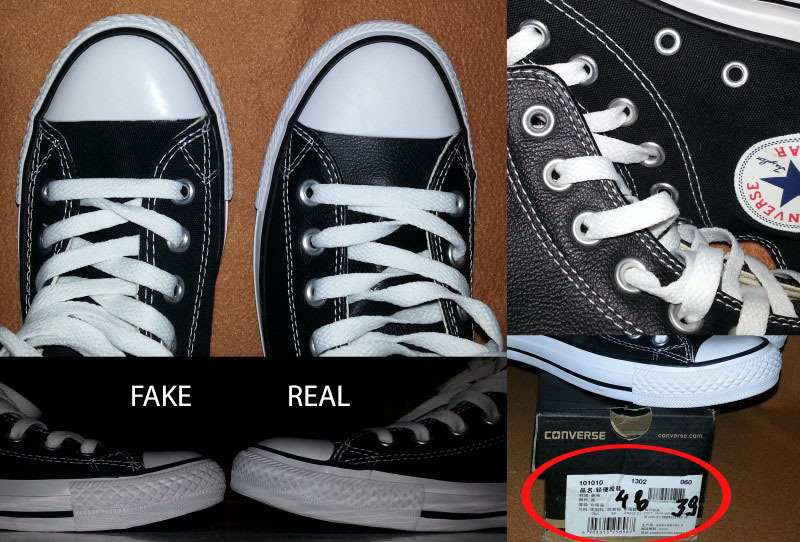 How to tell if Converse All Star shoes are fake or real | iSpotFake. Do you? Fakes are having the same serial numbers for all shoes. 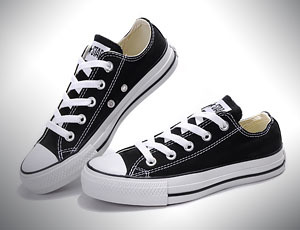 Genuine Converse All Star Chuck Tailor are made accurately, without visible glue or curved stitching. Heel should be enoght hard. Inner label on the tongue is kind of 3-dimentional, having inner pillow. It contains shoe article that can be prooved on the website. Countries of origin are China, India, Indonesia or Vietnam. No U.S. or Grat Britain involved. 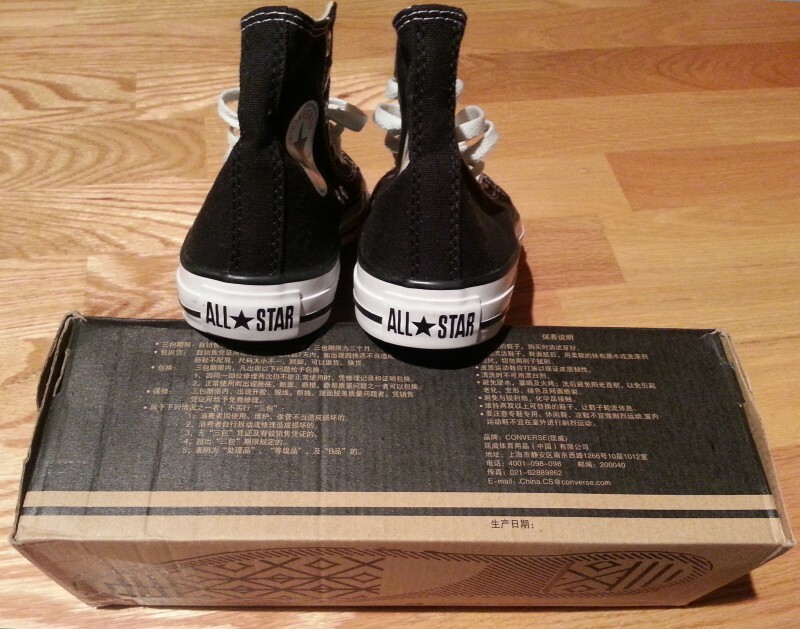 For authentic Converse All Star size in the last column given in centimeters, not mm for fake shoes. No Chuck Tailor chain badge since 2012, so if your shoes have it they are either rare or fake pair. 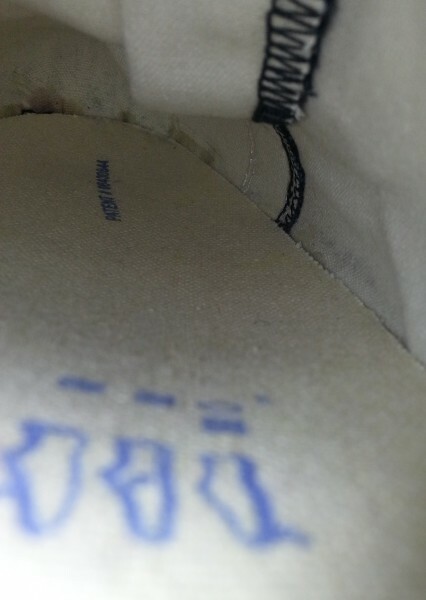 Insole can have or havent patent number, it is not said anything and depends on model. Original box of course. 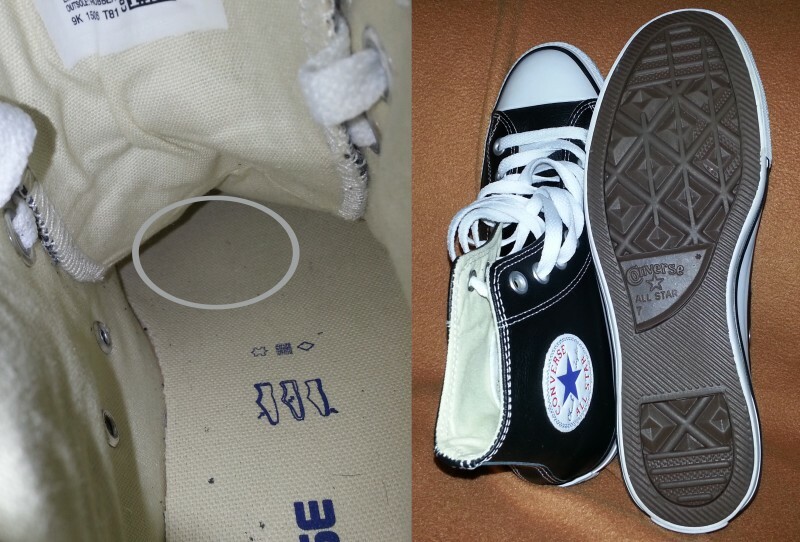 Dont buy Converse All Star sneakers packed in plain paper or plastic bag. 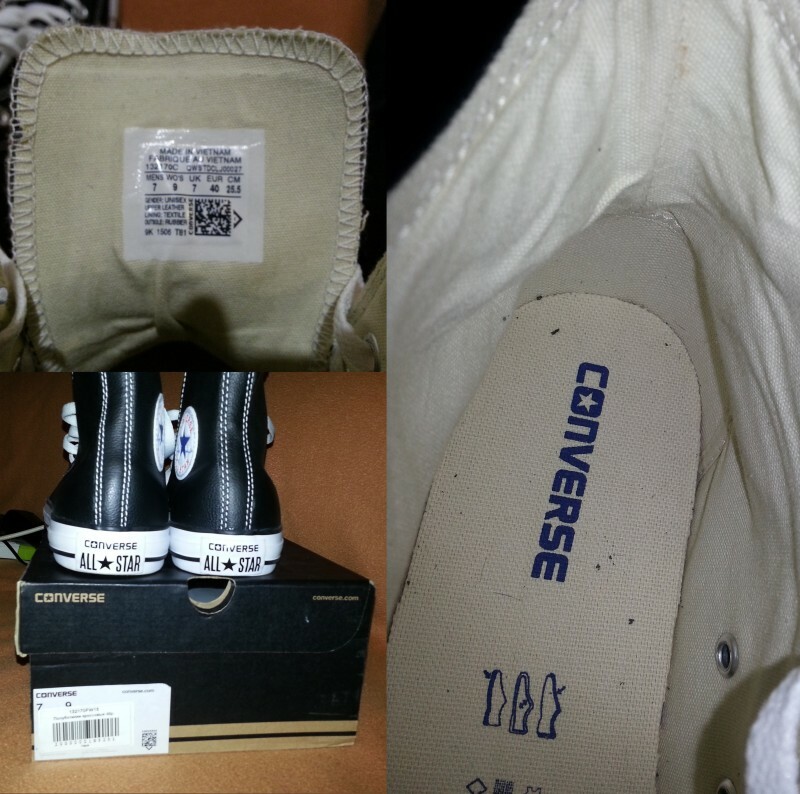 Converse text logo on the insole looks purple? 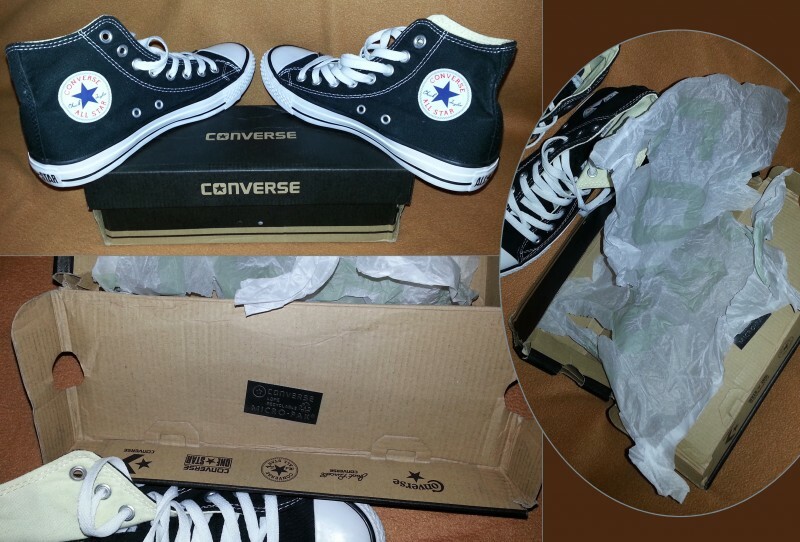 It is a fake Converse All Star. 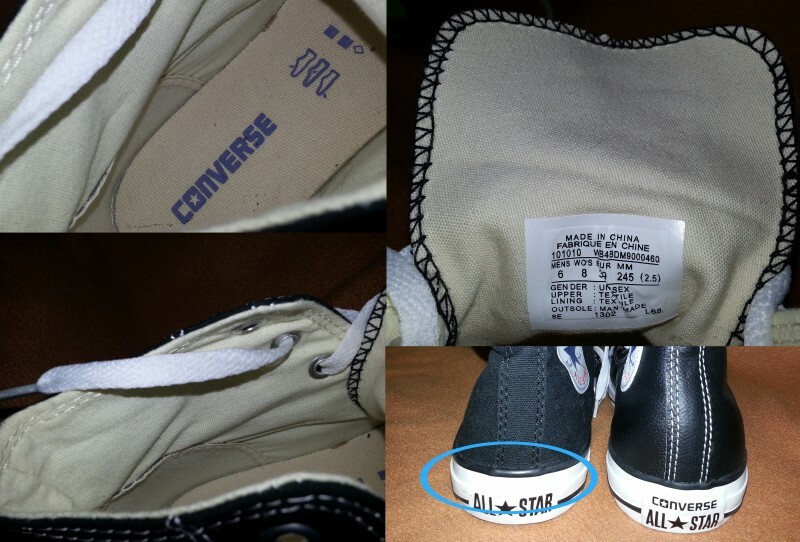 Real shoes have Converse logo on the heel in addition to All Star text. All logos should be positioned straight and accurate. Again, size in mm – it is a fake, article is wrong too. Grommets on a real Converse All Stars are dim / matt instead of polished bright on fakes. As we said before, real All Star shoe insole can have or not patent number, but if it is exists its a good sign.